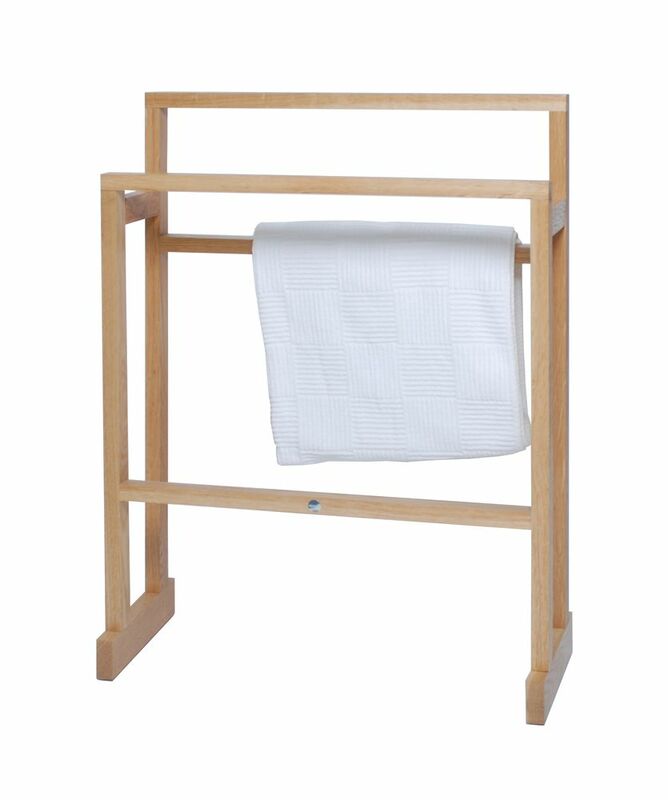 A highly desirable and useful freestanding towel holder. Towel Rail Mezza is a pure structural design providing three stepped and well-spaced rails and made from the same beautiful natural or dark-stained oak as the rest of this collection. Ideal for bathroom, sauna, pool or hot-tub, Towel Rail Mezza is sealed with a water-resistant lacquer.